Pebble Smart Watch Class/Hackathon at NYC Resistor #WearableWednesday « Adafruit Industries – Makers, hackers, artists, designers and engineers! What time is it? 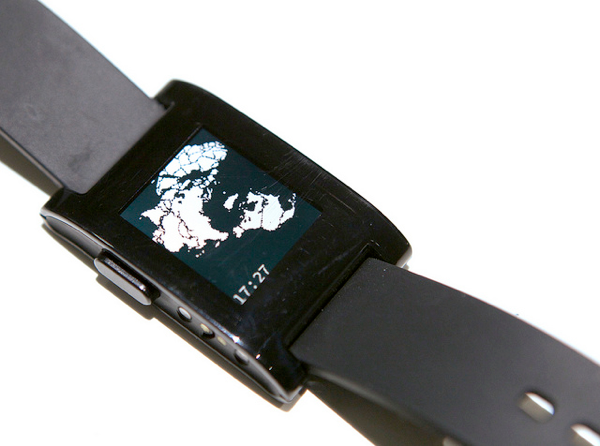 It’s time to #MakeAwesomeHappen and learn to program the new Pebble Smart Watch! We’ll be teaching a three hour class on 18 May on how to write custom watch faces that work with the official Pebble SDK. The programming environment is low-level C, with no memory protection, and no emulator nor a debugger, so you’ll need to be fairly comfortable with writing embedded code or at least not afraid to debug with printf()*. If you’ve programmed a device like an Arduino you should be ok with the class. Tickets for the class are on sale for $125. The hackathon afterwards is free!